Tiger is in style with his colorful coats! 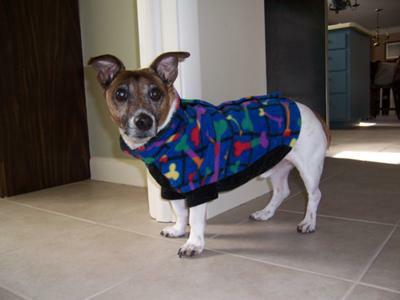 Tiger is 12 years old but is a feisty, fun loving puppy at heart. He loves to chase his tennis ball and shake his budda. Tiger loves to cuddle under the covers with his owners and always finds the sun to have an afternoon siesta.